The pair have been selected as part of the roster that will play two friendlies against the United States of America in April. 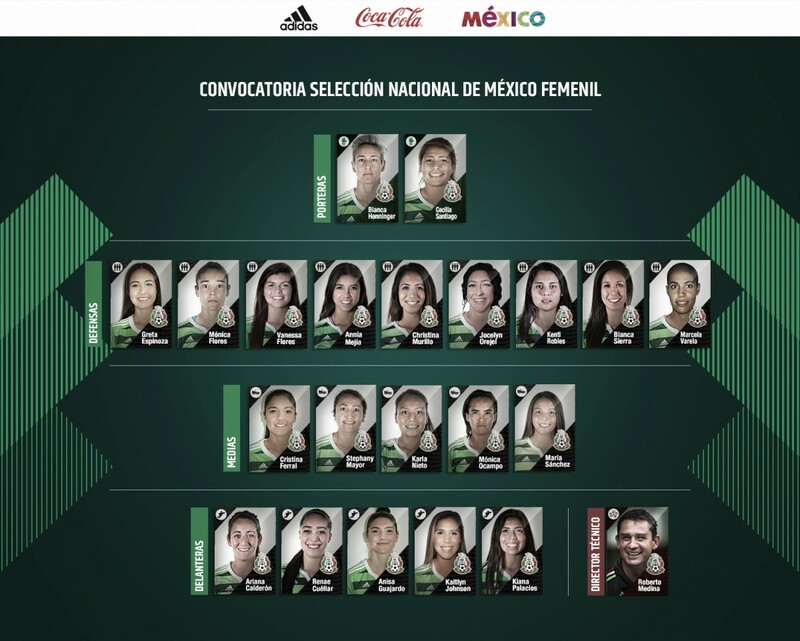 Mexico's head coach, Roberto Medina, has named his 21-player roster to play the United States of America in April. 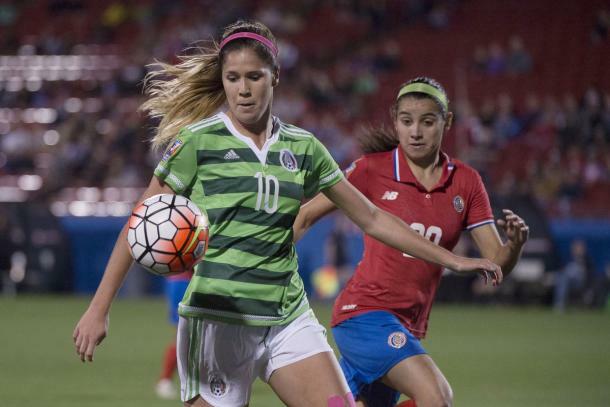 The roster includes three National Women's Soccer League players with the majority of the squad playing in the Liga MX Femenil. Katie Johnson who plays for Sky Blue FC and Bianca Henninger who plays for the Houston Dash are the more notable players called up from the NWSL. Johnson's teammate, Kiana Palacios, and Christina Murillo who plays for the Chicago Red Stars reserves, have also been selected by Medina to make up the roster set to face the USWNT in just over a week's time. Johnson has not opened her account with Sky Blue yet but with her former team, Seattle Reign FC, Johnson was very effective as a substitute. The 23 year old finished last season with four goals and two assists, which have undoubtedly helped her retain her spot in the national team set up. 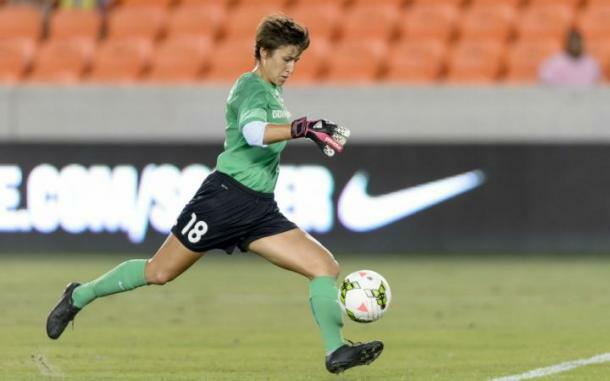 Henninger has played professionally longer than Johnson and although she has mainly played in the NWSL as a backup goalkeeper with FC Kansas City and now with the Houston Dash, on her rare starts, Henninger did enough to impress Medina. Although the USWNT have the head-to-head advantage against the Mexicans, games between the two teams are never played at a friendly or relaxed pace. The rivalry between the two teams means that Mexico take great pleasure in overcoming the odds and upsetting the USWNT on home soil while the US tend to want to keep their authority in the CONCACAF region and try to do so regularly. Many have not forgotten when in 2011, a qualifying round loss against Mexico almost cost the USWNT a place in the 2011 FIFA Women's World Cup. The USWNT had to make it through a two-legged playoff qualifier before booking their place in that World Cup and that day has spurred Mexico to always try to repeat the same feat whenever they face the US. Both teams will be looking towards the CONCACAF Championship which are the qualifiers for the World Cup and will use these friendlies to experiment. That will not dilute the determination to win form both sides so expect Mexico to come out fighting in both games. Goalkeepers: Bianca Henninger (Houston Dash), Cecilia Santiago (Club América). Defenders: Annia Mejía, Vanessa Flores (West Virginia University), Monica Flores, Christina Murillo (Chicago Red Stars Reserves), Bianca Sierra (þór/ka), Kenti Robels (Atlético de Madrid), Greta Espinoza (Levante UD), Marcela Valera (Club Atlas), Jocelyn Orejel. Midfielders: Cristina Ferrel (Olympique de Marseille), Stephany Mayor (þór/ka), María Sánchez (Santa Clara University), Karla Nieto (C.F. Pachuca), Monica Ocampo (C.F. Pachuca). Forwards: Kiana Palacios (Sky Blue FC), Anisa Guajardo (Sundsvalls DFF), Renae Cuéllar, Ariana Calderón (þór/ka), Katie Johnson (Sky Blue FC).